Montblanc has always been indivisible from modern masculinity. Its perfumes, in particular, have charted a narrative through the facets of what it means to be a gentleman in the 21st century. 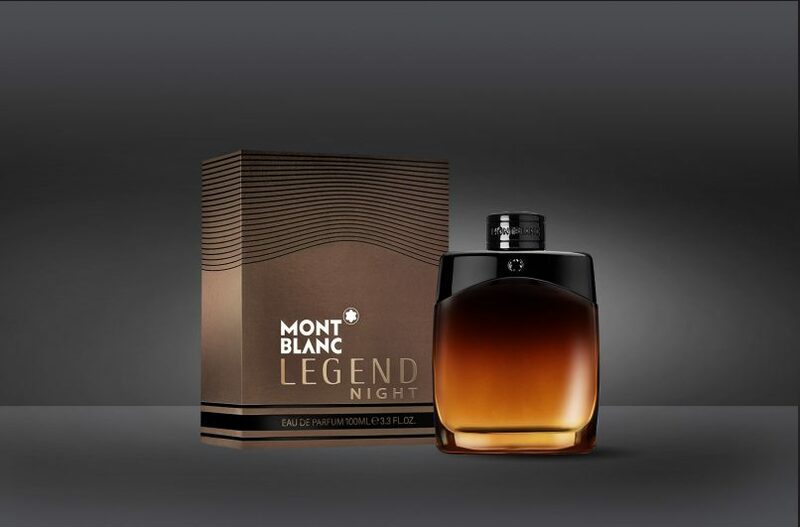 Montblanc Legend, a 2011 eau de toilette released by the house, has remained a classic choice for men since, with the medley of crisp, tropical fruit and sandalwood notes representing the balance between vivacity and power. That expression segued into Montblanc Legend Spirit in 2015, a citrusy accord perfect for men who dared to bear their softer sides. Montblanc Legend Night Eau de Parfum. Now, the next iteration of the brand’s perfume range turns to the dark side with Montblanc Legend Night, a scent designed with the mystery and charisma many iconic men possess. If the new fragrance could be embodied as an archetype, it would be one that represents men in the leagues of Bruce Wayne, Don Draper, Jason Bourne and the like. Seductive, dark, and silent but magnetic — these are the characteristics this perfume effuses. Antoine Maisondieu and Olivier Peschuex are the two olfactory geniuses behind Montblanc Legend Night. The top notes play with freshness and spice. Fresh peppermint adds a cool, menthol touch given depth with cardamom and clary sage. 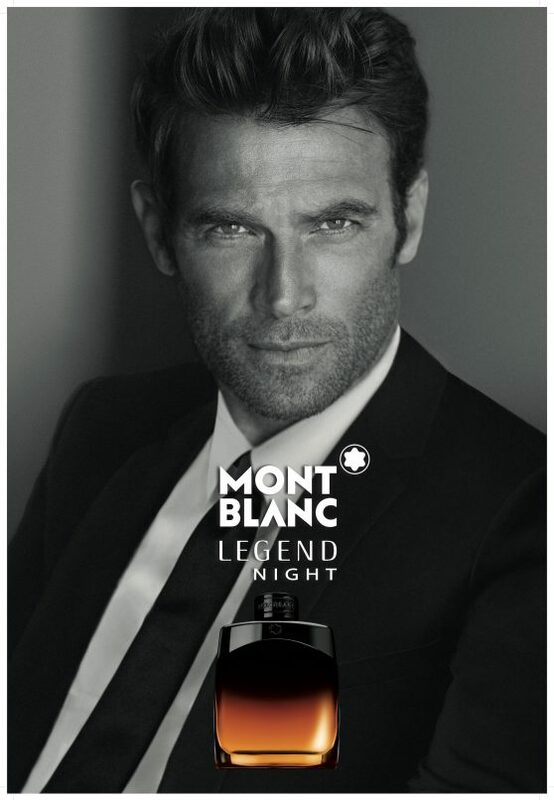 The crispness of Montblanc Legend Night then mellows into powdery hints of cedarwood, lavender and violet. These two scents are familiar and comforting, they draw people around the wearer near. The English model Simon Clark embodies the Montblanc man yet again. So far, the perfume is a bouquet of effervescence, but for it to be a scent that captures the night, there must be elements that are heady and seductive. Peschuex and Maisondieu have blended vetiver, patchouli, and musk to orchestrate a lingering richness, with black vanilla to alleviate the heft. Also, in signature Montblanc style, an understated bottle is crafted to juxtapose the striking perfume. The classic vial shape of the Montblanc Legend series is maintained, but it now comes with a black top that steadily ombrés into a deep cognac hue. It could almost be mistaken for a whisky canister — another necessity in a dapper man’s arsenal. Montblanc Legend Night is the kind of scent you wear to command a room. It is the very definition of what a powerful perfume can do for you, and it is versatile enough to be worn for boardroom meetings during the day, to a cocktail party at night. Every man needs a perfume with panache in his arsenal, and this is it. To experience Montblanc Legend Night for yourself, head down to Montblanc’s atrium event at Takashimaya Level 3 between 14 to 30 August, and receive an exclusive gift with a purchase of this fragrance at the event, while stocks last.